Born December 18, 1944. In Stockholm, Sweden he attended SveaplanVuxen Gymnasium where he graduated with honors and perfect academic scores in all courses. Dr. Lippman attended Arizona State University and Cornell University, Ithaca, New York, and graduated with a Bachelor of Science degree in June, 1968. He was employed as a chemical researcher at the Royal Institute of Technology, Stockholm, Sweden. 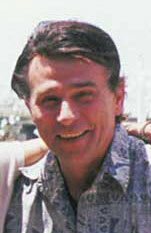 In 1980, he received a Doctor of Philosophy degree from California Western University. He attended medical school at Biomedicum, Uppsala, Sweden, where he specialized in measurement and monitoring of free radicals and their effects upon aging at the Departments of Histology and Medical Cell Biology. Dr. Lippman has authored over 27 peer-reviewed scientific articles in leading gerontological journals such as Experimental Gerontology, Mechanisms of Ageing and Development, the Journal of Gerontology, and the Swedish journal, Forskning och Framsteg. In 1984, he invented the nicotine patch and successfully marketed it on the Univision from 1986 to 1989. He has lead clinical double-blind, cross-over investigations, especially in regard to transdermal Vitamin B12, weight loss, and melatonin patches. In 1985, he invented the first jet-lag kit employing the then unknown hormone, melatonin. In 1987, he was awarded numerous world patents for the special free-radical inhibitor, NDGA. This invention yielded the only patent ever awarded by the US Patent Office with claims to retard human aging. During the ‘80s, he invented two separate non-invasivemethods that probe and monitor cascading free radicals in vivo in both humans and lab animals. In recognition of these last two revolutionary achievements, Dr. Lippman was nominated for the Noble Prize in Medicine in 1996. Dr. Lippman is currently retired and lives in Honolulu, Hawaii. In spite of retirement, he continues to lecture and conduct anti-aging research.